Another found-footage horror movie clearly inspired by the success of ‘Paranormal Activity’, ‘Apartment 143’ (or ‘Emergo’ as it is known in Spanish) tries to be smarter than the rest of its ilk by introducing science into the supernatural. 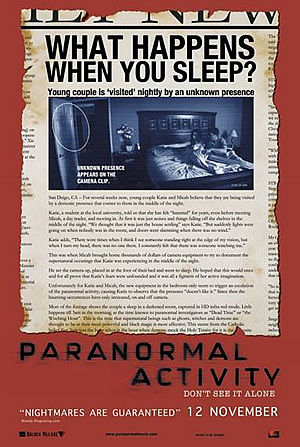 So the footage here is provided not by the family being haunted, but a team of three parapsychologists, who with their fanciful scientific equipment, investigates the paranormal activities in an apartment where a single father Alan (Kai Lennox) lives with his young son Benny (Damian Roman) and teen daughter Caitlin (Gia Mantegna). Alan invites the trio into his eponymous abode to study the hauntings that have followed the family since the death of his wife – and by establishing right from the start that these phenomena continued even after they had moved, writer Rodrigo Cortes lets you know that it is not the house, but the family, that is indeed the cause of the spookings. 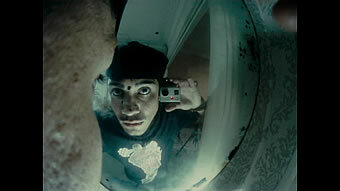 Dutifully, the team made up of chief scientist Dr. Helzer (Michael O’Keefe), cameraman Paul (Rick Hernandez), and overall assistant Ellen (Fiona Glascott) set up cameras in every room of the house, while also rigging it up with gadgets that are supposed to detect electromagnetic disturbance. One thing you’ll realise from the start is how enthusiastic the movie is to show off its science, so through several dialogue exchanges at various points in the film with different characters, the scientists take pains to explain just what their gadgets are supposed to do. Some will be quick to dismiss it as mambo-jumbo, but even for the more intellectually-driven members of the audience, we suspect the urge to impress the scientific basis of the investigation just gets too overwhelming after a while. 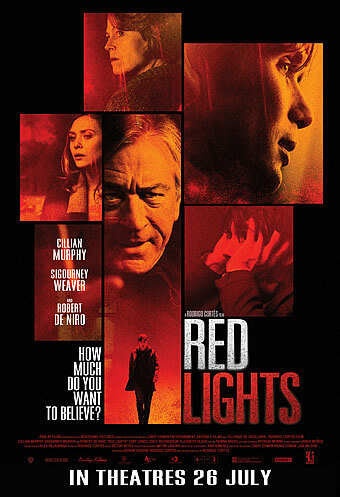 It doesn’t help that when the jolts actually start, you realise that director Carlos Torrens is simply reaching into the same old bag of tricks as the ‘Paranormal’ movies – unexplained noises, moving objects, creaking doors, and most revealingly people being thrown by mysterious forces. 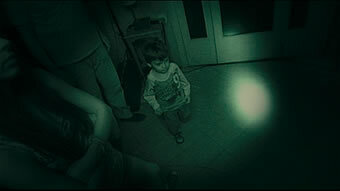 Not even the science feels fresh – the temperature predictably drops whenever some séance is in the room, and the strobe photography (demonstrated in ‘Insidious’) inevitably captures a ghostly image out of the blue. But most unforgiving is the fact that Cortes abandons the scientific reasoning halfway into the movie - so instead of using their fanciful equipment, Dr Helzer is suddenly trying to talk to the spirit, or getting some medium to reach out into the other dimension which is apparently just 90 centimetres above his (which is meant to justify his ludicrous request of placing a phoneback on his seat). Just as abruptly, Dr Helzer throws in another theory that is meant to build on the tension we’ve witnessed between father and daughter in the first hour. Herein lies a classic example therefore of a director who tries to make his movie a little bit of everything and grasping at anything that goes. Indeed, no matter how well-orchestrated the mayhem in the climax is, you’ll get the distinct feeling that you were taken on a ride when it conveniently turns into a ‘Poltergeist’. Sure, the filmmakers may justify as part of the theory-debunking process that the parapsychologists had to go through, but the inconsistency by which the hauntings unfold demonstrate that the filmmakers are simply trying to (as they have Dr Helzer say at the end) “have their cake and eat it too”. Yet to give credit where it’s due, they do manage to engender some sympathy for Alan, whom we are led to suspect did something to Caitlin until the truth comes clear from his own tearful confession of the past. 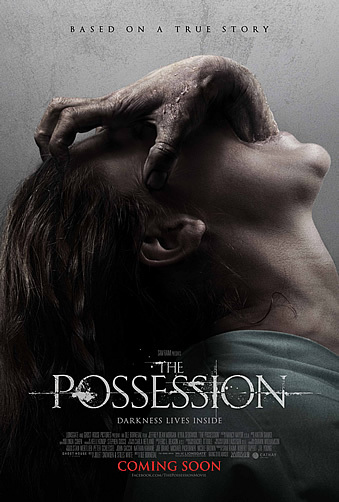 In that respect therefore, there is more plot in this story than there ever was in a single ‘Paranormal Activity’ film, but that potential is somewhat wasted in a movie that ultimately tries to copy the latter too much in an attempt to emulate its success. And as ‘Apartment 143’ draws to an end, we can’t help thinking that the found-footage craze really should just be put to death. Even the ‘Paranormal’ series that started the wave of such films has pretty much run out of ideas on how to make that gimmick fresh after four additions – and it is not as if any of the other horror films it inspired had anything much to add. In fact, like this very movie, many of them would have been much better off trying to be something different than something similar. 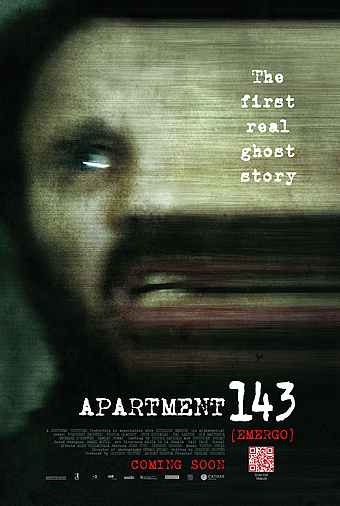 Especially for what we suspect was meant to be a plot-driven horror, ‘Apartment 143’ ends up a victim of its own undoing and is likely to be forgotten as soon as the next ‘Paranormal’ clone comes along.